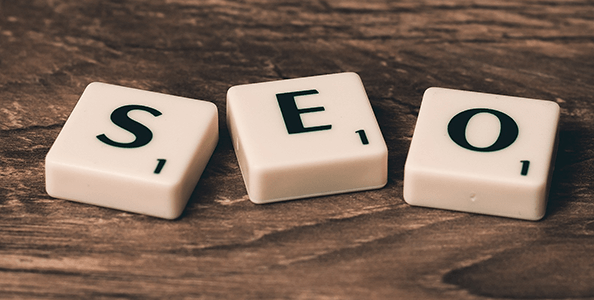 Over the years, SEO has become one of the hottest topics amongst bloggers and companies to show their presence and broadcast their products and services. If done right, Good SEO can help one achieve good traction of their readers, ultimately creating a brand identity. Having said that, Google as a search engine too has evolved in making changes in their algorithms, thus making effective SEO techniques extremely challenging. Here, we’ll have a look at how good SEO can give a boost to your website in order to rank higher in the search results. In recent times, Google has stressed a lot on quality content over the length of the content in an article. It is quite evident from one of the parameters of Google analytics called Bounce Rate, which has helped Google determine whether the content presented in front of the visitor is engaging enough. The more engaging content is, more the chances of it rankings higher in search results. In the year 2014, Google withdrew Google Authorship in the search results. They admitted that just by having Google Authorship on a post result didn’t mean that the content was more relevant than a regular post. Thus, we can conclude that ‘Good and Relevant Content is King’. Engaging content is an essential feature on which the entire framework of SEO depends on. Targeted keywords sprinkled across the post can do wonders if done correctly. However, one must not overdo this as Google would treat it as keyword stuffing, ultimately negatively affecting the ranking. Sometimes certain articles also need to rely on good images and videos, which help the visitor to cling on to the post, thus increasing the average time on page. A website not only needs to provide good content, but also has to make sure that quality content is delivered in order to give optimal user experience to the visitor. As mentioned earlier, quantity has been overshadowed by quality and it is quite prevalent in recent times as more and more people are preferring visually information than text. Vlogs are becoming the new trend while blog seems to be old school now. Even if an article has a captivating title, what is more important is when the visitor enters the site for the desired information, hoping to find the right information and obtaining that information for their usage. However, many a times the length of the post becomes a turnoff for many and this gives rise to increase in the exit ratio from the website. Gone are the days when a post having more than 1200 words would bring excitement to the visitor. Yet, SEO has stood its ground like the old war horse and it is just as important to videos and images as they are to articles. Be it a blog or a business, a website without SEO is like a desert without an Oasis. Digital marketing has captured the world market while media advertising has fallen behind. The possibilities of getting business by just showing up on the Top 5 search results is huge compared to spending a fortune on few seconds of media advertising. You just need to present yourself in the top 5 results and there you have it. If someone was looking for you and you were there at the right time and at the right place. Although that is just half the battle won, the conversion only happens when you are able to give the visitor the optimal user experience and also provide the services which you are offering is in sync with the visitor’s demand. Attaining first page rankings via SEO is a long term process, and one needs to believe in it and accept this as a reality. With the changing times, search engines like Google and Bing have learnt a lot and have done many changes to their algorithms for making sure that the visitors get what they are looking for. One has to thus keep adapting to these changes but still stick to the basics of SEO, that is to provide great content. Challenging as it may seem, the results which one can achieve with good SEO are so robust that once it is achieved, they go a long way in creating a brand identity like no other. So pull up your socks and become a SEO grandmaster.